William said later that George's first day "went well"
Prince George went to school for the first time Thursday, but it was a rite of passage missed by his mother, who is struggling with acute morning sickness in the early stages of her third pregnancy. The 4-year-old George was accompanied by his father Prince William, on his first day at Thomas's Battersea. The two future kings walked to the school entrance hand-in-hand before George was greeted by senior teacher Helen Haslem, who introduced him to the other children. William said later that George's first day at school had been a success. "It went well," he said at a reception. "There was one other parent who had more of an issue with their children — so I was quite pleased I wasn't the one." George's mother Kate, formally known as the Duchess of Cambridge, missed the school run because she was home in Kensington Palace. She is once again stricken with hyperemesis gravidarum, the severe nausea and dehydration that affected her first two pregnancies. Kensington Palace said in a statement she wasn't well enough to take George to school. At an event Tuesday, William said Kate is fine but acknowledged some strain: "There's not much sleep going on at the moment." 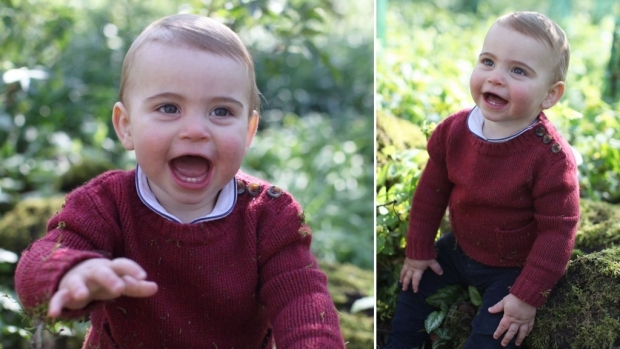 Officials say William and Kate hope to personally take George to school as often as possible. George's parents have said they want him to have as normal a childhood as possible, and palace officials tried to discourage news organizations from sending photographers to the school Thursday, instead offering pool photos of George's arrival.